Winners of this year’s sustainable housing competition are stunning yet highly livable residences that take net-zero performance to an entirely new level. 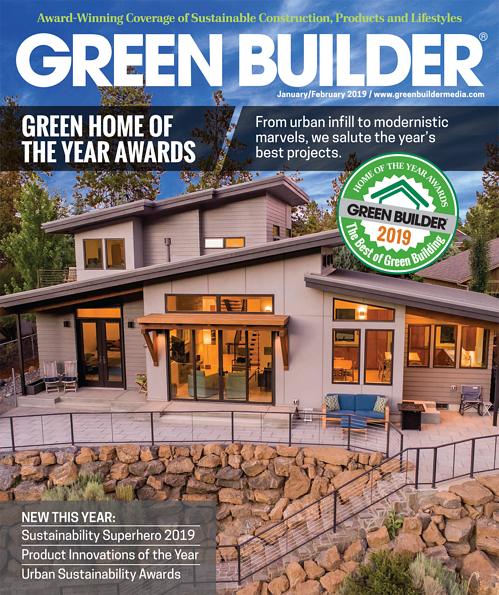 Green Builder Media’s Home of the Year and Sustainability Awards program, now in its 11th year, recognizes the industry’s most authentic, advanced, beautiful and sustainable projects–and the professionals who design and construct them. The stand-out winners boast sustainable features, innovative design, whole-home performance and integration with the natural environment. The winners, who will be celebrated at an awards dinner February 17 at Mr Chow in Las Vegas, are listed below. Download Green Builder’s awards issue here for in-depth articles on all the winners. Overall Grand: Rowe Toogood Residence, Bend, Ore.
Strickland Residence, Oak Harbor, Wash.
Epic on French, Breckenridge, Colo.
Nathan Good, Nathan Good Architects, Salem, Ore.
Download the awards issue here.